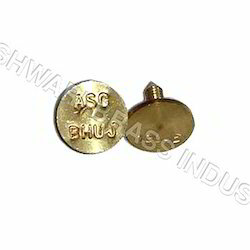 Our Organization is engaged in manufacturing and supplying quality Brass Components. These are manufactured using high grade raw material, which is procured from reliable vendors of the market. Owing to our high quality standards and strict compliance with customer requirements and consistency in products, we have served numerous prestigious industries. We are pleased to bring forth a range of Brass Hose Fittings that are made using quality brass procured from trusted vendors. These brass hose fittings have an overall safety and efficiency of hydraulic systems. Ensuring the finish of these hose fittings the entire range of these hose fittings is made available at market leading prices. Owing to the quality standards, we are successfully serving many industries. We strive to offer high quality Brass Elevator Parts to our clients. These parts are well polished and are dimensionally accurate. Made available at industry leading prices, the range of brass elevator parts enables the elevator work smoothly and efficiently. Regarded for their durability, the entire range is highly acclaimed in the market. Serving numerous prestigious industries, we have managed to earn our name in the industry. We manufacture and supply Brass Espresso Parts that find an application in espresso machines. The whole range of these parts is made using high grade brass procured from our trusted vendors. Enabling an espresso machine brew by force and efficiency the product range is highly reliable. We also serve our customers with the customization services as per the requirements of the customers.